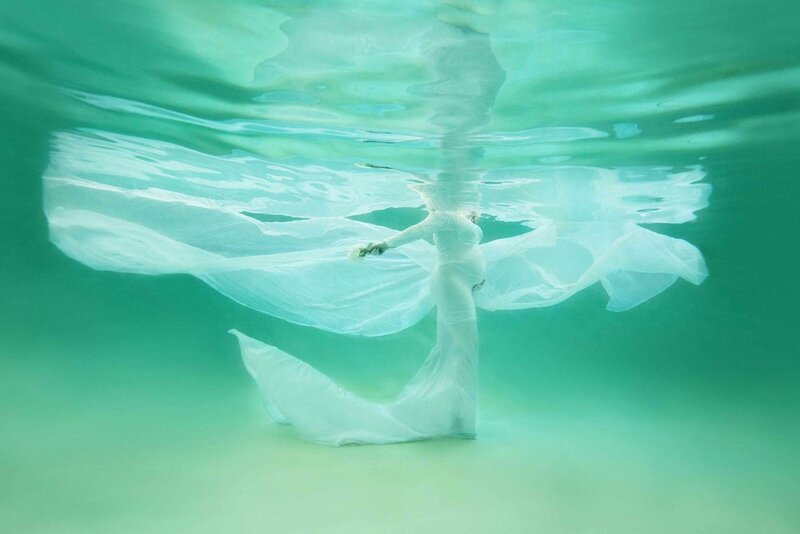 Underwater photography is absolutely AMAZING! It is unique, surreal, whimsical and fabulous! Once you're under the water everything is silent and peaceful and it feels like you're in a cloud. We offer Myrtle Beach underwater photography to our couples for an underwater wedding portrait session or engagement. We also offer this to expectant mothers as part of a underwater maternity photo session here in Myrtle Beach. You do not need to know how to swim nor do you need to have any kind of diving experience. All you need is to want unique underwater photography session done and you can leave the rest up to us! If you are a soon to be mama then congratulations for your soon to be new addition to the family! We like to schedule our Myrtle Beach maternity underwater photography sessions between 32 and 37 weeks, as this is generally when your pregnant bump tends to looks its best and your energy level is still up. Our aim is to make your session a fun, relaxed, and enjoyable experience while capturing such a special and unique moment. You do not need to have any diving experience and you don't even have to know how to swim. Everything is done in a controlled environment with assistants and lots of guidance and the water temperature is very pleasant. 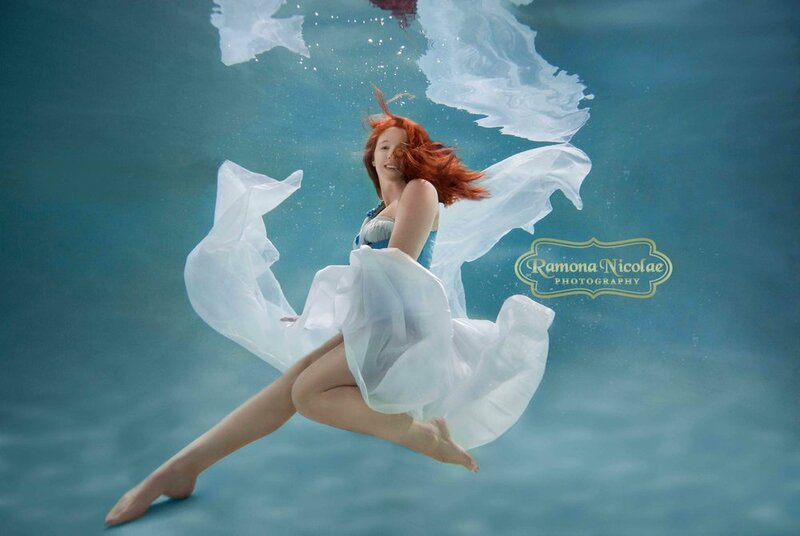 The underwater maternity pictures are meant to be simple and classic and in a luxury style. 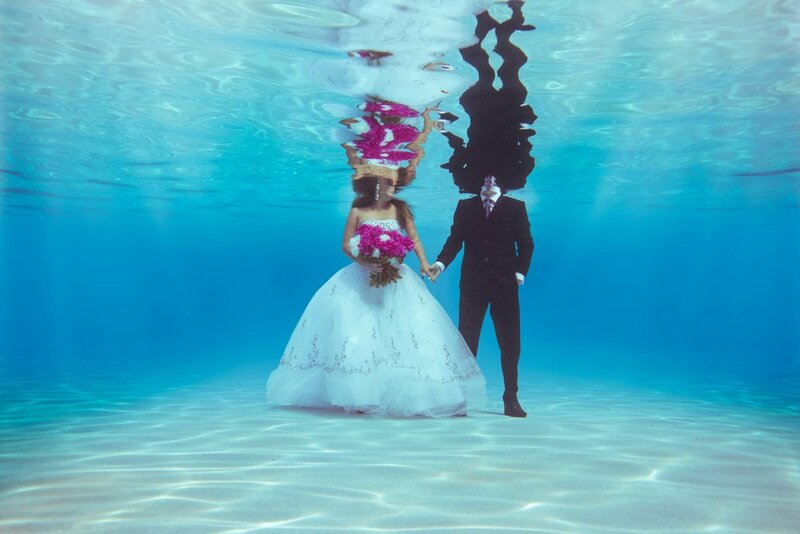 If you are planning for bridal or wedding underwater portraits then you came to the right place! A kiss underwater as dressed as bride and groom is absolutely magical and let's admit....uncommon. Several packages are available and they start at $599. 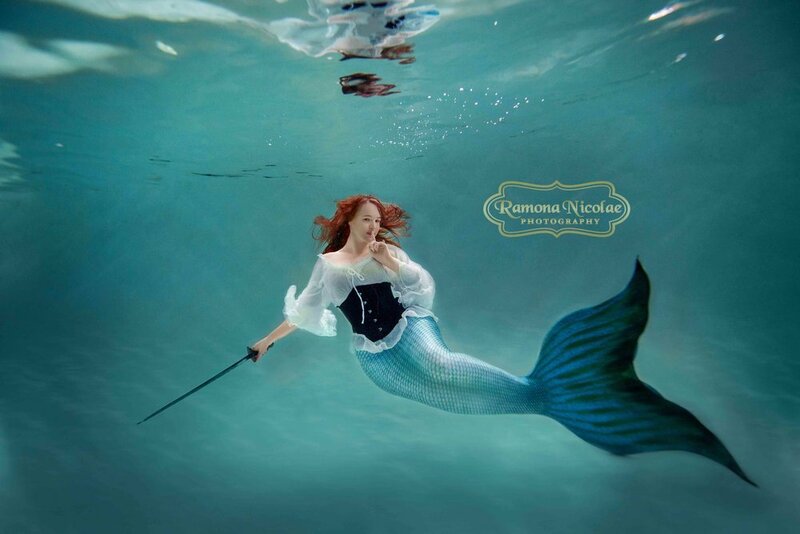 Myrtle Beach photographer Ramona Nicolae also has a special unique skill for underwater photography and would love to capture some of the most amazing and one of a kind images that will wow anyone!